A vaccine is a product administered to a patient to produce immunity from a disease. It contains dead or weakened organisms to produce a response in the immune system. Vaccines come in many forms, and exist for a variety of diseases. Vaccinations are sometimes called immunizations. The difference between a vaccination and an immunization is that the immunization is the actual process that goes on in the immune system after a vaccination. Vaccines protect from preventable diseases. Vaccines for children are especially important, as their immune systems are not as strong as those of adults’. As a preventative health measure, various vaccines are strongly recommended for school and many different occupations. Vaccine charts, also called immunization charts, are schedules developed by health organizations that indicate when people should be vaccinated. The influenza vaccine, better known as a flu shot, is a vaccination that protects against influenza. Hepatitis B is a type of hepatitis, a viral infection that causes inflammation of the liver. It is a serious illness that can cause lasting damage. Hepatitis B is caused from contact with infected bodily fluids. Symptoms include jaundice, nausea, vomiting, dark urine, and abdominal pain, but some people have no symptoms. Thankfully, you can protect yourself with the hepatitis B vaccine. It’s convenient and affordable at FastMed, available without an appointment. Tetanus is a bacterial infection that produces toxins that affect the nervous system, causing severe muscle stiffness. Tetanus spores are commonly found in soil, manure, and dust. They enter the body through cuts, scratches, and wounds caused by nails or other sharp metal objects. Symptoms include muscle spasms or tightness in the neck, jaw (lockjaw), arms, legs, and abdomen, difficulty swallowing, high fever, sweating, heart palpitations, and high blood pressure. The tetanus vaccine is typically given early in childhood, as part of the Tdap vaccine. Because the vaccine’s protection decreases over time, adults should get a tetanus booster shot at least every ten years. If you suffer a cut or puncture wound, your healthcare provider may recommend a booster—especially if you don’t remember when you had your last tetanus shot. 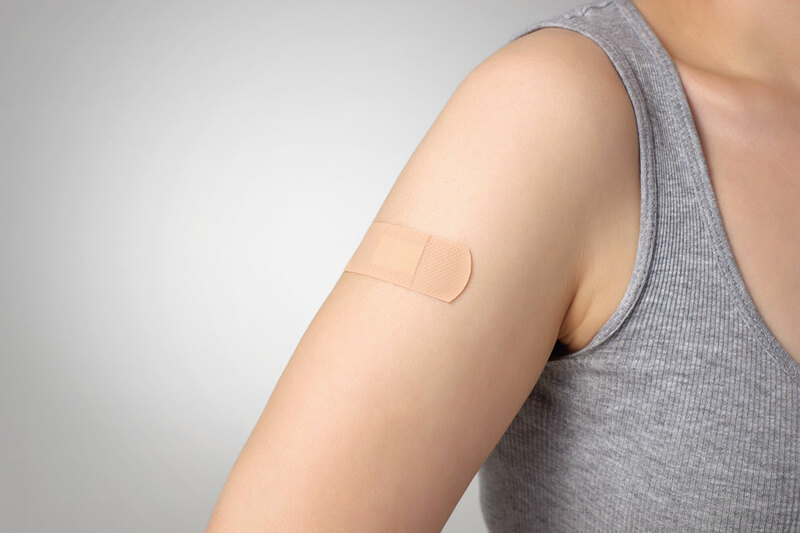 You can protect yourself with a tetanus shot from FastMed. FastMed Urgent Care offers convenient and affordable tetanus shots 7 days a week, 365 days a year. Whether you’re concerned about a recent injury that might be infected, or you’re just due for a booster, visit us at FastMed and we’ll take care of it right away. The Tdap vaccine, offered at FastMed, protects children age 7 and older from diphtheria, tetanus, and whooping cough. We’re open 7 days a week, 365 days a year. With extended hours, you could even come by after school. Make a simple and convenient stop at FastMed for this important vaccine. Every FastMed Urgent Care clinic carries the above vaccines, and some clinics carry more. Call your local clinic for details. We’re open 7 days a week, 365 days a year for your vaccination needs. Immunization is the process that happens in the human body when a vaccination is received. Immunization prepares your immune system to fight off the diseases included in the vaccine. Many people use the word immunization interchangeably with vaccination, but they aren’t the same thing. There are a wide variety of immunizations available for painful, dangerous, and life-threatening diseases. Immunizations reduce the incidence of preventable diseases. This preventive approach keeps healthcare costs down and allows healthcare resources to focus more attention on people in need of care. Most importantly, it saves lives. Healthcare professionals have created a series of immunization charts to show when people should be vaccinated. Many people get an immunization at the doctor’s office from a nurse or another healthcare professional. If you or someone in your family needs an immunization with the vaccines listed above, you don’t have to make an appointment with your primary care doctor. FastMed Urgent Care offers many common vaccinations for children and families. We’re open long hours 7 days a week, 365 days a year. Immunizations are convenient and affordable at FastMed.